How Does Health Management Membership Work? It all starts with a chat. We know you have a story to tell. We want to hear it. Visit Recharge so we can better understand your goals, challenges and history. To know where you want to go, we need to know where you come from. Once you're interested in moving forward, the next step is 3 one on one sessions with one of our physical therapists. You will go through the fundamental movements we expect all our members to know. We will get to see how you move so unique adjustments can be made once you are in group classes. 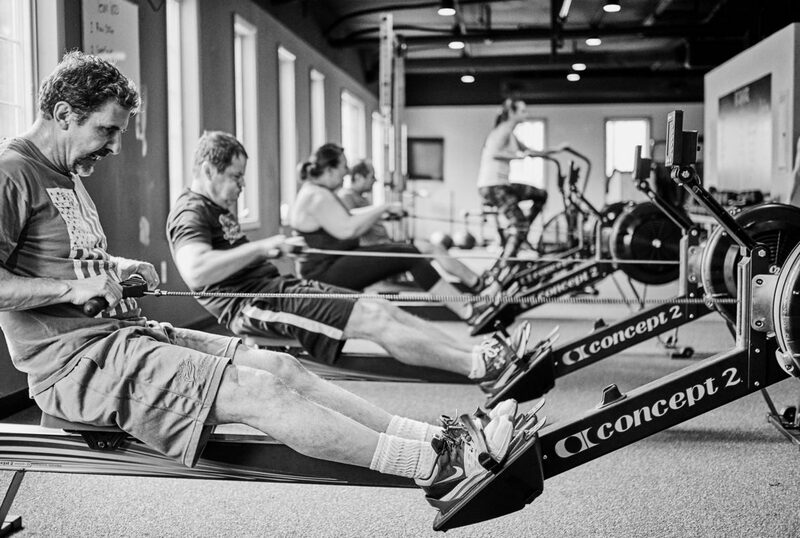 Pathway is $199 for ALL 3 one on one sessions and 1 group class. After your Pathway experience, you'll have an opportunity to become a Recharge member. The unique membership includes enrollment in our Health Assurance Plan (HAP), unlimited group fitness classes, health vital signs tracking, and access to unique member-only programs. Let's get you moving! There is a difference between being active and purposeful training. All Recharge group fitness classes are strategically developed by doctors of physical therapy as part of an overall plan. Classes run in cycles, which is 3 month periods. Each cycle consists of 3 types of workout days, practice, competition and endure. This is more than a gym membership. This is how it all comes together. By regularly coming in and training, we can see how your body is progressing. If we see abnormal responses to exercise such as changes in heart rate or blood pressure, we can compare over time. This allows us to track your health progression and proactively pick up many potential health warning signs. Visit us for a free tour, sit down chat and exploratory experience. 3 one on one sessions with a doctor of physical therapy to determine your unique needs and for you to learn our system. Then jump into one group fitness class. Enroll and join our community. Be one of 150 members. Once Recharge community is 150 members, enrollment will be closed. Membership includes unlimited group fitness classes with doctors of physical therapy, enrollment in our unique Health Assurance Plan and health data tracking. Healthcare is expensive, confusing and based on a reactive system. Recharge is the complete opposite. Once you are a member you are automatically enrolled in our HAP. This means you and anyone in your immediate family can see one of our clinicians for only $40. No insurance needed. No deductibles. No wait list. No stress. Regular exercise is one of the best things we can do for a healthy life. Now imagine all your exercises developed for you, in advance, by highly trained professionals. That's Recharge. Workout with your fellow members in a fun, challenging and safe enviroment. It's not enough to think you are healthy. Let's determine healthy. Every time you come to Recharge we track your heart rate in real-time. Every 3 months is a new cycle in which all your health data is re-taken and assessed. If we see abnormalities we discuss it with you and suggest the best course of action.